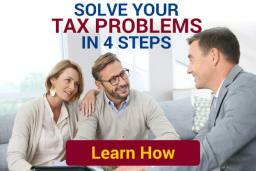 Home / Federal Tax Blog / Is Bigger Really Better? When it Comes to the IRS, Trump’s Cabinet Pick for Treasury Secretary Seems to be Making a Case. Newly inaugurated President Donald Trump tapped Steve Mnuchin for a position in his cabinet. If the Senate clears him, Mnuchin will serve as Secretary of Treasury. Yale alumnus Mnuchin has a very strong background in finance to say the least. For 17 years, Mnuchin worked for investment bank Goldman Sachs where he eventually rose to the position of Chief Information Officer partner and hedge fund manager. In 2002 Mnuchin ended his tenure with Goldman Sachs and went on to found several hedge funds. During the financial crisis of 2007-2008, the Secretary of Treasury nominee bought failed residential lender IndyMac and changed the name to OneWest Bank. Upon rebuilding the bank, he then sold it to CIT Group in 2015 just before joining President Donald Trump’s campaign. Mnuchin is estimated to have a net worth of $500 million. During his Senate confirmation hearing Mnuchin expressed concern for the Internal Revenue Service’s staffing. He stated that although he has previously questioned the number of employees at the IRS, he would consider increasing the size of the labor force. In recent years, the Internal Revenue Service’s headcount has dropped significantly (nearly 30 percent). This is a record-breaking decrease as no other federal agency has been cut down as much. Mnuchin was concerned as the IRS is the federal agency responsible for collecting revenues. In an attempt to appease the more conservative Republicans of the Senate who prefer smaller government, Mnuchin then went on to say that perhaps the reason for such a drastic downsize was that the agency simply started with too many people. He said that if that is the case, his chief concern would shift to the staffing issues of the IRS. Furthermore, Mnuchin also said that if elected, he would like to work on improving the structural and technological facets in the agency. The thought of a bigger IRS seems daunting, but there are two sides to consider with Mnuchin’s plans: On one hand, the employee deficiency at the IRS benefits taxpayers who may have issues with the agency or owe back taxes. With the agency so backed up and so many files on queue, it takes agents longer to address open cases, and audits, thus buying more time for the taxpayer. On the other hand, the shrinking size of the IRS may be part of the reason for a number of cybersecurity problems, and an increase in customer wait times and customer complaints. With the nation facing a deep, multi-trillion dollar deficit, the best way to begin tackling that deficit would be for revenue agencies, such as the IRS, to function like a well-oiled machine. Furthermore, President Trump recently announced plans to enact a hiring freeze on all federal jobs, which would certainly throw a wrench in his nominee’s works. Either way, it will be interesting to see the IRS impact if Mnuchin is approved.